Summer is just around the corner. With the heat of the summer season slowly creeping in, you can expect mom’s to be fussing over how she can keep her family cool and comfortable without upping the electrical expenses. This is why Samsung has come up with a line of air conditioners to help you take charge of your family’s comfort and health, and yes, even your electric bill! 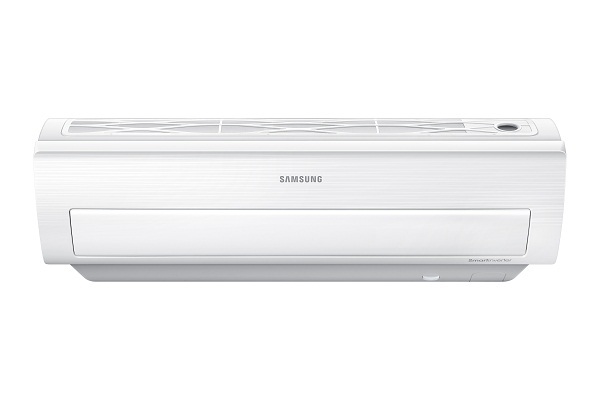 The Samsung split air conditioners bring the newest innovations in air conditioning, with a pioneering Triangle Design and an abundance of smart features to provide your household with comfortable, cool, and clean air without the huge electricity costs – perfect in beating the summer heat! Its premier feature is the unconventional Triangle Design. But how can a triangular shape improve the performance of an air conditioner? This optimized design allows for wider air intake, so more air can be drawn in. The internal space then is maximized giving more room for a bigger fan, bigger blades, and a wider vent that ensures your room is cooled faster and farther. This means a cooler room for you and your family to relax in this summer. Cooler, cleaner air sounds great, but if you’re a practical mom, you know that this would probably mean a higher electric bill. Such is not the case with the new Samsung Triangle Design Series. With its Digital Inverter, you can get up to 60% energy savings. It even has unique modes such as the Full Mode and a Single User Mode. A first in the industry, that lets Moms switch to Full Mode when their family is at home and a Single User Mode when she’s alone. Moms need not worry about using their air conditioner for long periods to combat the summer heat. This great technology is enhanced with a Triple Protect System that keeps it going even through extreme weather conditions in our country. It prevents overloads from power surges and fluctuating electrical currents, and has an anti-corrosive coating that prevents the condenser from rusting. 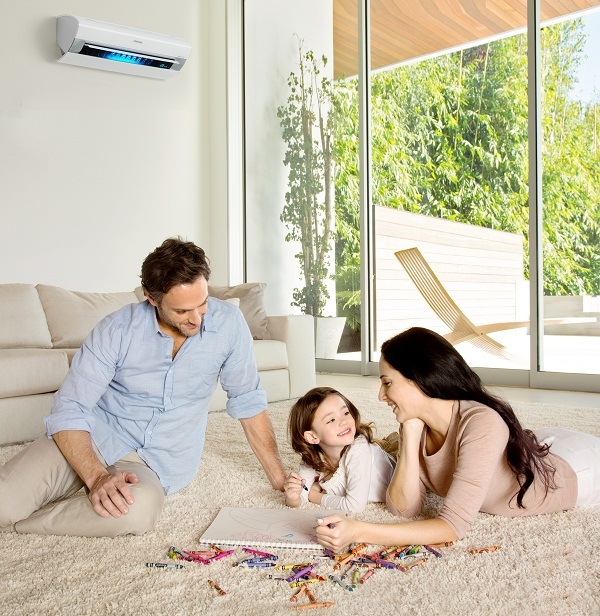 All this comes with a 10-year warranty on its smart inverter compressor – a first in the split type air conditioner market! Knowing this, you can definitely be assured of its durability and reliability. The icing on the cake? The new Samsung air conditioner is outfitted in an elegant, crystal gloss finish that contributes to its premium aesthetics, allowing it to blend seamlessly into your household. 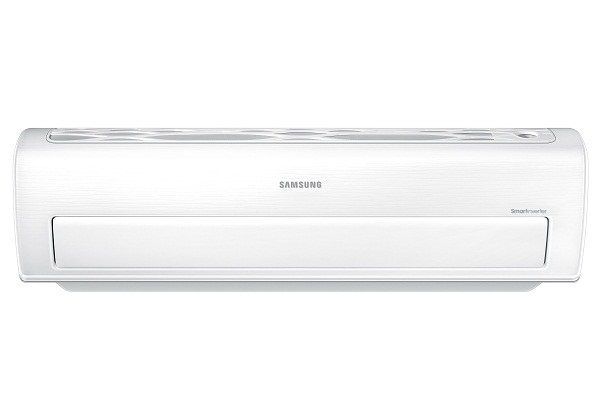 Samsung recently released its Premium line of Samsung air conditioners. One of the key features of this line is the Virus Doctor. This feature neutralizes airborne viruses and allergies by emitting active hydrogen and oxygen ions into the room. This complete eradication of bacteria of the Virus Doctor is also able to counteract the Swine Influenza (H1N1). Moms will be able to sleep soundly knowing that the kids are breathing in clean and purified air. Keeping the kids healthy all summer long. Samsung also has introduced Wi-Fi enabled control feature that is the first of its kind for air conditioners. This provides people with convenience since users can operate their units wherever they are through their smart phones. Now, families can escape the heat on a hot summer day by arriving in a comfortably cool household. This feature helps moms in keeping a comfortable household during the summer.